PROCESSION ROUTE: Kinloch Park, High Street, Millknowe, Longrow, Main Street, Witchburn road (B842), Tomaig Road, The Meadows, Ralston Road, Main street, Kinloch Park. "Rocking dates for your diaries": You are warmly invited to a special four-day Scottish Independence-themed Rock YES music festival in the scenic Capital of the Scottish Highlands, Inverness, from Friday 19th July to Monday 22nd July 2019 (inclusive), at the legendary Ironworks Venue. PROCESSION ROUTE: Castlegate, Union Street, Holburn Street, Fonthill Road, Polmuir Road, Duthie Park. 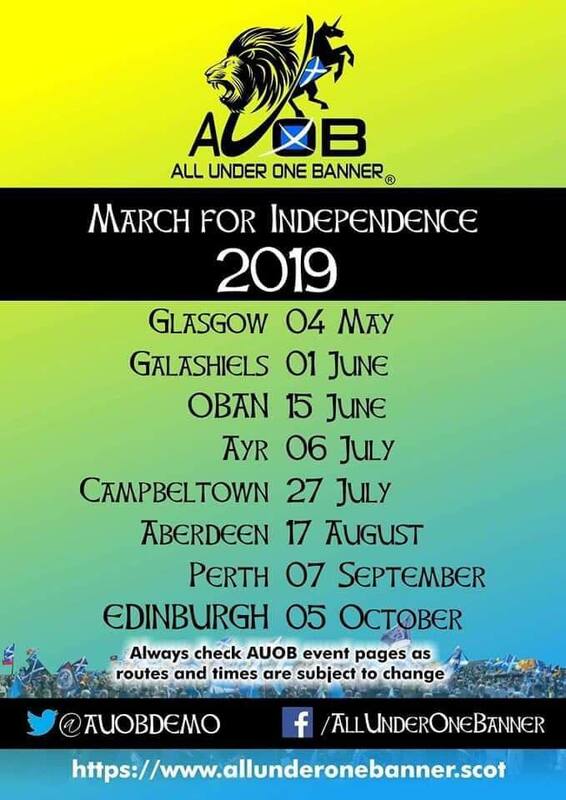 PROCESSION ROUTE: Scott Park, Livingston Place, Scott Street, Scott Crescent, Elm Row, Lawyers Brae, St John Street, Bank Street, High Street, Channel Street, Market Street, Cornmill Square, St John Street, Scott Street, Livingston Place, Scott Park. Same size as the large patch 4 times the size of the smaller stickers. Printed with waterproof ink on high-quality vinyl. 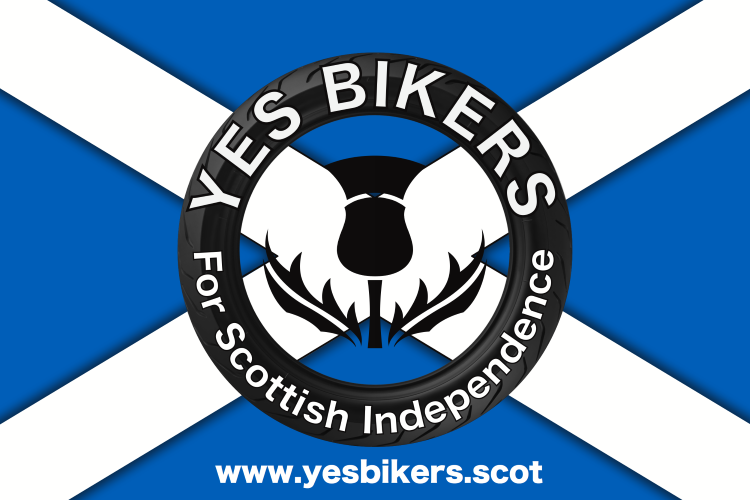 YesBikers will be attending all the AUOB rallies this year. Keep a look out for our updates on meetup points.